Education has always been the basic tool to shape the career of the students. An Education, with its adaptable measurements, goal-oriented objectives and knowledge awareness brings in its own set of regulations and restrictions requiring careful monitoring and also personnel for successful implementation for the better of the students. Education always gives strength, intelligent mind and active thoughts to the students for leading their career and to get a valuable position in life. Ambition is the most important aspect of human life and it provides new essence with up-moving directions in our life. An ambition is for a meaning direction forward. A person with ambition is always interesting, multi-dimensional and a seeker for new challenges. Ambition is the driving force in life student which makes great achievements possible in the world. As we at MSIS intend to produce future champions of the world, along with the academic we have provided a unique blend of other learning and teaching mechanisms to open up a new dimension in every individual. Studying in Meluha is an invaluable asset to show your potential, willingness to go that extra mile and make sure you get that dream career. Whether you have a career in mind or not, Meluha’s career and placements can help you develop the path that is right for you. Our career support doesn’t stop in India, with countless internships and events across the world, and up to date information on studying abroad, Meluha’s career programme is your passport to an International Career. World is full of opportunities and our student is not build to shy away from challenges. We believe that language should be to connect people and new language shouldn’t be treated like Rocket Science. Our program enables student to learn a new language other than their primary languages in Grade 11 as a compulsory course and an optional language choice will be made available in Grade 12. Interactive sessions on academic and self development will be conducted by experts to the students. With career advice appointments, a huge array of events including professional skill programmes and career fairs, internships and hundreds of resources, there’s a wealth of opportunities on offer to help you increase your academics. We celebrate an excellence in academics and all round development. 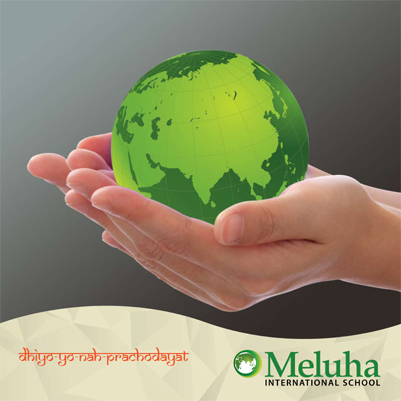 We provide individual attention to each and every child keeping in mind their unique sets of needs and goals, whether it is a goal of doing medicine , engineering or even going abroad.Only talented and dedicated teachers teach at Meluha. Meeting challenges in Meluha is made easier with a well designedcurriculum.A safe and secure learning environment ensuring our students well being is ensured here. We make sure our students stand out anywhere they go with a distinctive edge to their personality and intellectual capacity. We’d love you to join us for one of our open day events to help you get a feel for undergraduate study and life at Meluha. This is a great chance to explore our campus and find out more about our courses.